A successful and speedy recovery is something we all hope to have after a serious surgery. Researchers have recently discovered low levels of vitamin D in a group of patients undergoing spinal surgery, which may delay their recovery. Vitamin D helps calcium absorption and is needed for bone growth. Vitamin D deficiency can lead to osteomalacia, resulting in softer and weaker bones. Osteomalacia also interferes with new bone formation, which can be very problematic for someone undergoing spinal fusion surgery, where bones have to fuse together in order to span an internal gap. Jacob M. Buchowski, MD and his team of researchers at Washington University School of Medicine in St. Louis recently completed a study of 313 patients who were undergoing spinal fusion surgery. Of this group, 44 percent were male and 56 percent were female; the average age of was 55. Analysis indicated that more than half had inadequate levels of vitamin D, including 25 percent who were severely deficient. “Our findings suggest it may be worthwhile to screen surgery patients for vitamin D,” says Buchowski. He feels as if patients with insufficient levels of vitamin D could benefit from taking 50,000 international units of the vitamin once a week for eight weeks before a surgery. 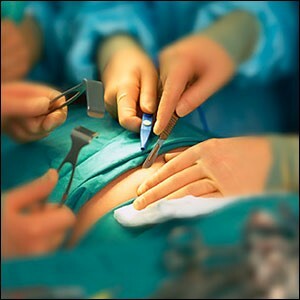 This extra boost in vitamin D may help facilitate recovery after spinal fusion surgery. Based on the results of the survey, Buchowski and his colleagues are recommending that patients that are waiting to have a spinal fusion surgery take a vitamin D supplement prior to and following surgery. 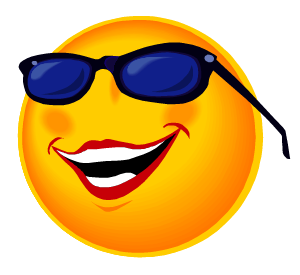 It is recommended to choose a vitamin D that is in an Isotonic form. Along with all the other great benefits this vitamin has to offer, that may also be good advice for those of us who are hoping to avoid spinal fusion surgery–or any other kind. Resveratrol has been found to ameliorate pre-diabetes; specifically, 150 milligrams of resveratrol in an Isotonic form (per day) has been shown to improve blood pressure, improve insulin sensitivity, lower blood sugar, and reduce fat in the livers of pre diabetic overweight humans. Resveratrol is a powerful antioxidant that is produced by certain plants to protect against environmental stresses. It is also the key ingredient in red wine that helps prevent damage to blood vessels that helps to reduce “bad” cholesterol and discourages the formation of arterial blood clots. 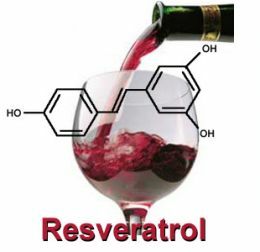 Resveratrol has been associated as an unseen asset in the “French Paradox,” which describes the low incidence of heart disease, obesity, and the reduction of pre-diabetic incidences among the French, despite their relatively high-fat diet and levels of wine consumption. Should You Take Vitamin K2 With Vitamin D??? Vitamin D has been in the news for the past several years and has seen many studies reflecting it’s tremendous health benefits. News articles such as “Vitamin D Vital for the Heart”, “Sunscreens can Block Vitamin D”, Vitamin D Deficit in Pregnancy Tied to Caesarean Risk”, and “Lack of Vitamin D Can Double Your Risk of Stroke” are just a few of the headlines by some of the major news networks. More than1 billion people worldwide do not consume adequate amounts of vitamin D and more than 50% of postmenopausal women taking meds for osteoporosis have suboptimal levels of vitamin D. Without adequate levels of Vitamin D, only 10 -15% of our dietary calcium can be absorbed. This is due to the function of the Vitamin D to facilitate the absorption of Calcium. Vitamin D is naturally present in very few foods, added to others, and available more readily as a dietary supplement. It is also produced endogenously, within the body, when ultraviolet rays from sunlight strike the skin and trigger vitamin D synthesis. 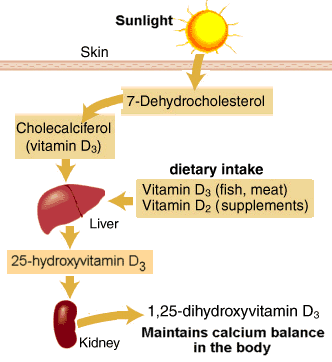 Vitamin D obtained from sun exposure, food, and supplements is biologically inactive and must undergo two hydroxylations in the body for activation. The first occurs in the liver and converts vitamin D to 25-hydroxyvitamin D3. The second occurs primarily in the kidney and forms the physiologically active 1,25-dihydroxyvitamin D3. Vitamin K is also a fat-soluble vitamin, so it is stored in the body’s fat tissue and liver. It is best known for its role in helping blood clot (coagulate) properly (the “K” comes from its German name, Koagulationsvitamin). Vitamin K also plays an important role in bone health by binding calcium and other minerals to the bone. Vitamin K is used to reduce the risk of bleeding in liver disease, malabsorption syndromes, or in association with long-term use of antibiotics. Most importantly it is needed for proper use of calcium in bones. Higher vitamin K levels correspond to greater bone density, while low levels of vitamin K have been found in those with osteoporosis. There is increasing evidence that vitamin K improves bone health and reduces risk of bone fractures, particularly in postmenopausal women who are at risk for osteoporosis. In addition, studies of other groups (such as male and female athletes) have also shown bone enhancing benefits from vitamin K supplements. Vitamin K may very well end up being as important for you as vitamin D, as research continues to illuminate the growing list of its benefits for your health. Vitamin K is probably where vitamin D was ten years ago, with respect to its appreciation as a vital nutrient that has far more advantages than originally thought. Most people are deficient in Vitamin D or at least insufficient as it relates to their diet and sun exposure. Keep in mind that Vitamin K is responsible for healthy tissues. In bone, it activates osteocalcin, a protein required to bind calcium to the mineral matrix, thus strengthening the skeleton. In circulation, Vitamin K2 participates in carboxylation of Matrix Gla Protein (MGP), the most potent inhibitor of arterial calcification known, lowering the risk of vascular damage. Therefore there is a compounding effect of these two vitamins working together. Where can you get a good quality Vit. D with K2 and who can you trust? View my blog to learn more about why Isotonic Supplements have the highest rate of absorption.